Welcome to the Cochrane Musculoskeletal website. Cochrane Musculoskeletal (CM) is made up of health care professionals, researchers and consumer representatives that belong to Cochrane, an international, non-profit organization that aims to help people make well-informed decisions about health care by preparing, maintaining and promoting reviews on the effects of health care treatments. CM produces reliable, up-to-date reviews of interventions for the prevention, treatment or rehabilitation of musculoskeletal disorders in the form of systematic reviews. CM is also dedicated to making our systematic reviews available to those interested in treatments for musculoskeletal diseases (see more about our activities in About Us). 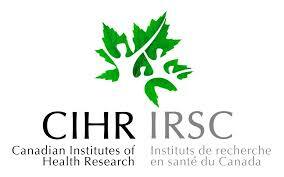 Cochrane Musculoskeletal is grateful for the financial support of the Canadian Institutes of Health Research (CIHR), the University of Ottawa, the National Health and Medical Research Council in Australia (NHMRC), and the Cabrini Institute, Melbourne, Australia.